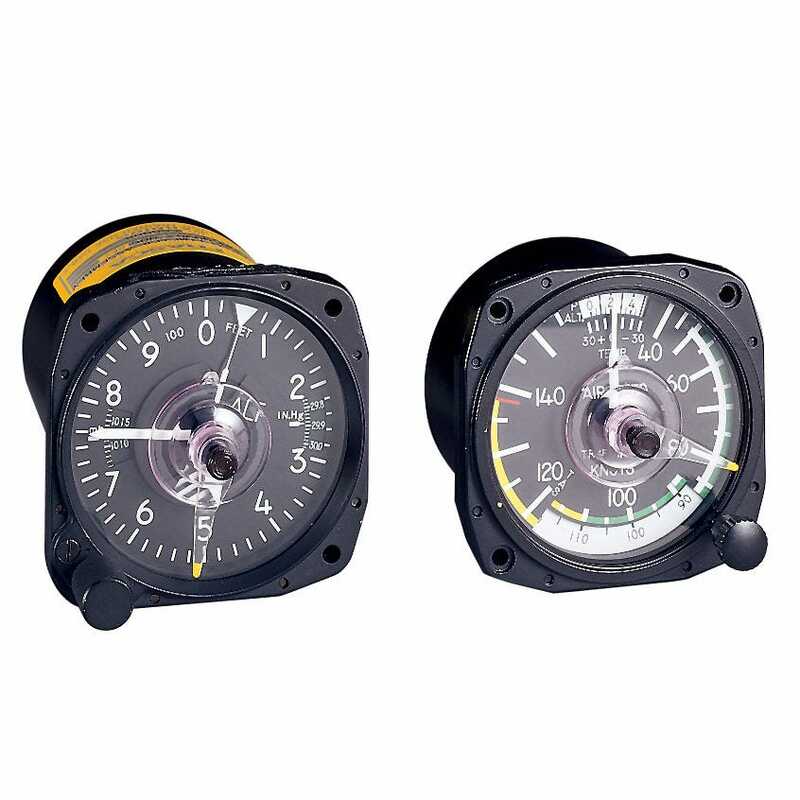 These simple bugs are an excellent way to mark V-speeds, target altitudes, RPM or manifold pressure settings, etc. Transparent, yellow-tipped pointer mounts to face of instrument by means of a crystal-clear suction cup. Provides a quick visual reference of important information in a minimum of time—without obstructing your overall view of the instrument. Friction lock ensures that pointer is not inadvertently moved. Completely portable; ideal whether you rent or own your own aircraft. Comes with alcohol wipes in reusable storage container. A poor substitute for my previous altitude reminder. When I lost my previous AltiMinder (or whatever it was called), I hoped to just replace it, but apparently it isn't made anymore, so I thought I would try these suction cup Bugs, especially since they are so reasonably priced. However, not only do you have to be very careful with the placement not to cover the numbers, but the suction cups wouldn't hold, even with carefully using the alcohol swabs that come with it. I wouldn't recommend wasting your money. practise will proof if it works fine, you better ask after 12 monthes. Great aid, well worth the money. These are very easy to stick on.. and super helpful (like cheating) to remember assigned altitudes. Suction cup was a little too big and needle a little too wide. Between the two, obscured view. Another item for the pile of mis-fit toys. Suction cups hold well. Adjustable tension. I've flown about 10 hours with them and they hold the value you set them at. I just wish the suction cup was a tad bit smaller. Can't complain for the money! As an older IFR pilot, i got this nifty little package of bugs to help me remember ATC altitude assignments on IFR flights. So, i put the little bug onto the altimeter and off i go into the clouds. All is going well, and i'm delighting in how cool the bug is, and how easy it is to use, when i get a call from ATC to change my altitude as we're being vectored toward the IAF. I reach out to change the altitude assignment and .... whoops! It falls off the altimeter, never to be seen again. (Thank goodness its a package of two.) So was it my fault? I didn't pre-clean the altimeter face with the alcohol swab before apply8ing the bug. I didn't wet the suction cup before applying... its hard to say if it was my fault, or a good concept not well-executed. The suction cups are quite small (maybe an inch), and not made of the the soft flexible kind of rubber, but of a little stiffer kind. So, i'm left with the impression that these little gadgets are very nice to have - and work great, (as long as they're working), but like with all things aviation, you can't put your unbridled trust in them. Still i like them, and for now, I'd recommend them, but i'd suggest that the suction cups should be made of the softer, thinner rubber (like the soft rubber suction cups that come with go-pro mounts). Well, I'm off on another IFR flight tomorrow, and before applying the new bug, i'll clean the face with the alcohol pad and wet the cup before applying. i'll report back after the flight. If it happens again, i'll be very disappointed. I really wanted these to work! Cons: Needle is too stiff on suction cup. It would be better if it turned easier, but still was reliable, i.e., it stayed in place. Pros: In my case I use the cups on a R22 to set MP limits, it is a handy tool to have at hand--enables you to know if you're exceeding maximum MP with a single glance! Cons: My CFI says that from his seat it is not that great of a reference. I recommend--provided you sit in front of the instrument! Can u tell me the dimensions please? BEST ANSWER: Approximately 1/2 for the suction cup.